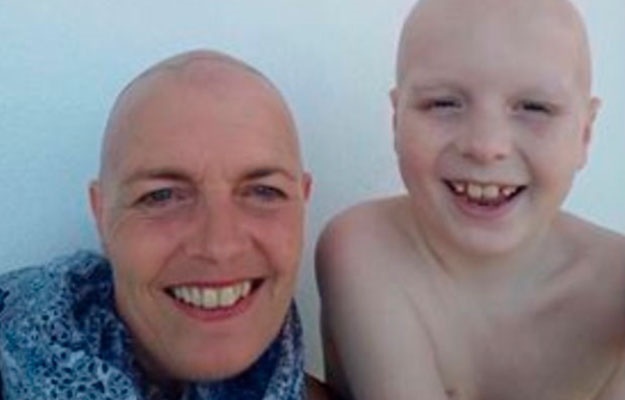 This mother and son joke about who rocks the bald look better – but there’s nothing funny about their determination to beat their battles with cancer. Abraham Moreno Edwards (9) and his mother Amanda (49) have been fighting cancer together, after being diagnosed mere weeks apart. “We have a joke about both being bald and who looks best,” Amanda says. She lives in Cheshire, a county in north-west England, with Abraham and her 11-year-old son, Jose. She’s separated from her children’s father, Jose Moreno (47). Abraham’s was the first to be diagnosed of the two, Mirror.co.uk reports. His mother took him to the doctor, thinking he was simply suffering from a cold, but the little boy was later diagnosed with two unrelated types of blood cancer. Six weeks after Abraham’s diagnosis, doctors discovered two lumps in Amanda’s left breast, writes The Sun. It was found to be breast cancer. Mother and son’s joint chemotherapy sessions have given them an unbreakable bond and Amanda says she’s determined to be strong and positive for the sake of her son. “My attitude is, my son is extremely ill and fighting for his life – I’ve just got breast cancer,” the 49-year-old translator says. “I’m very, very positive when it comes to myself because I have seen for myself what children – my son included – go through. “I have chemo once in three weeks. He goes through five days consecutively, and any break he gets is spent in hospital with side effects.